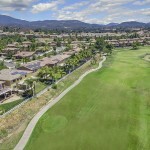 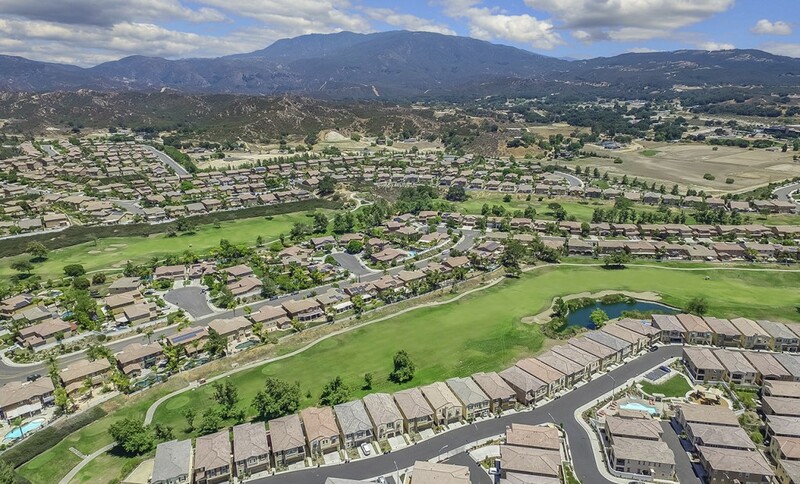 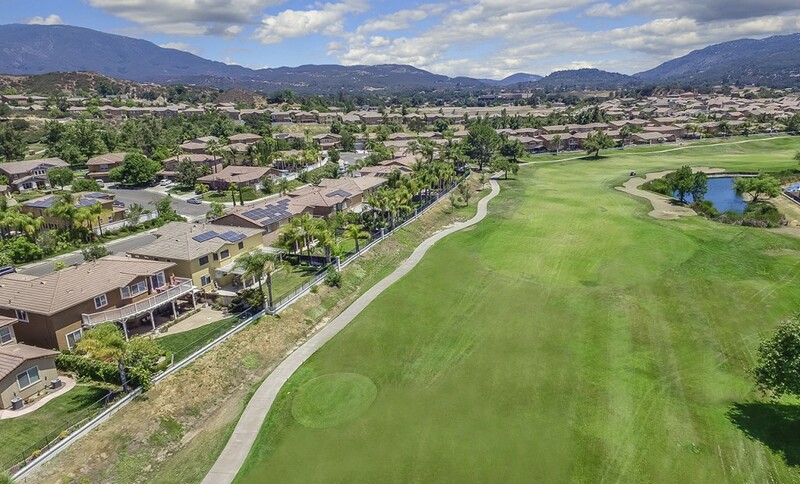 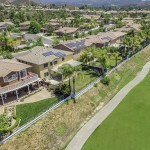 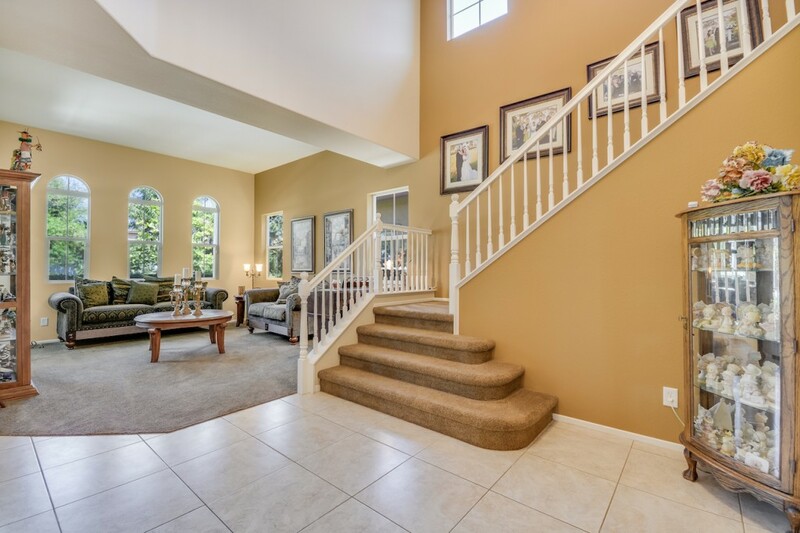 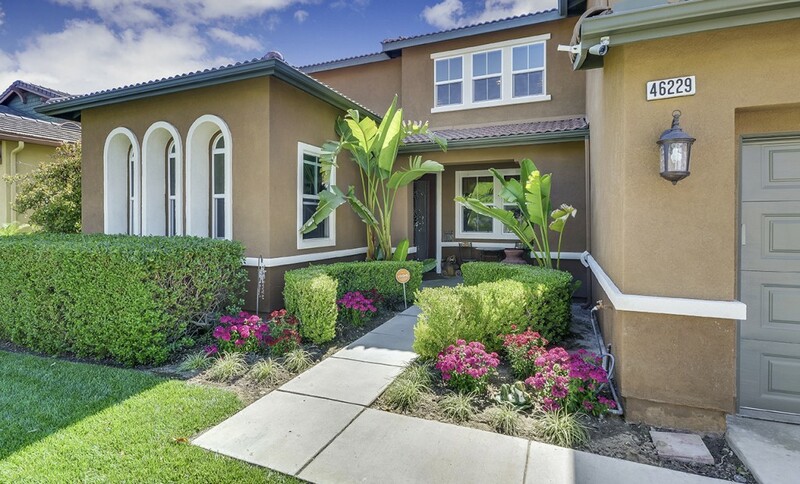 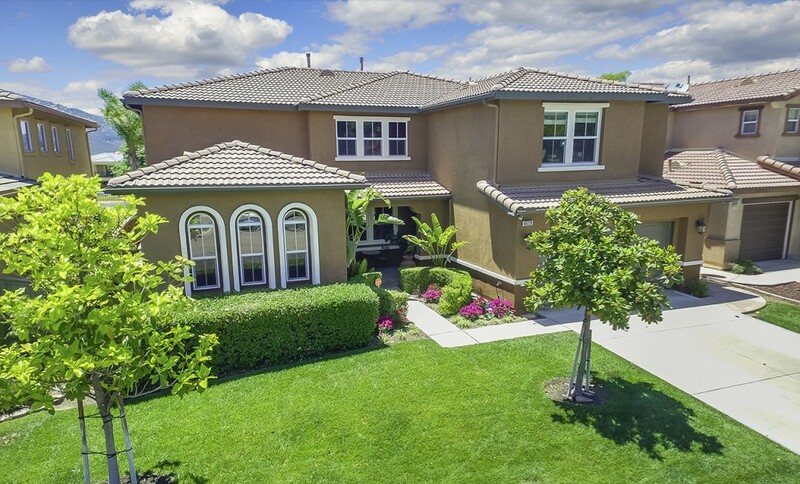 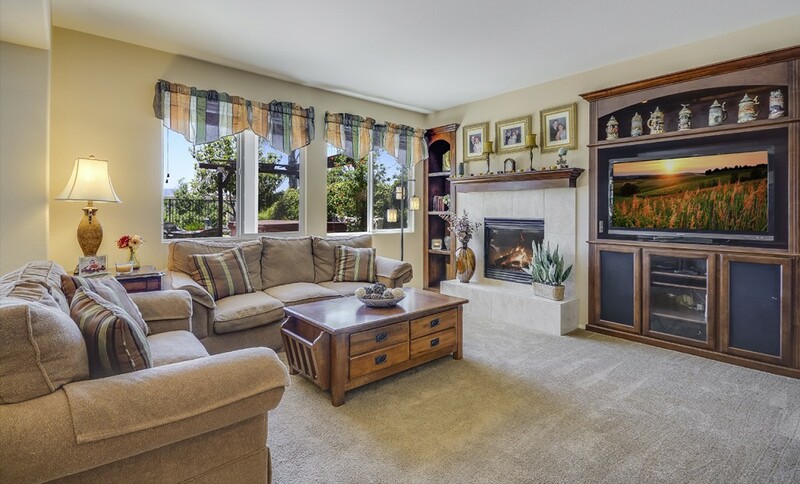 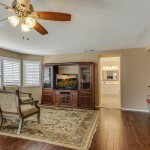 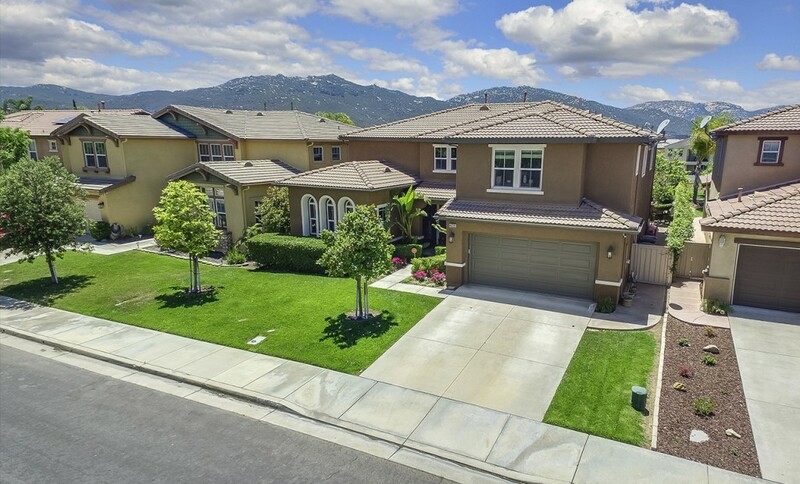 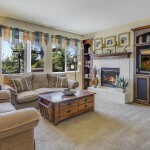 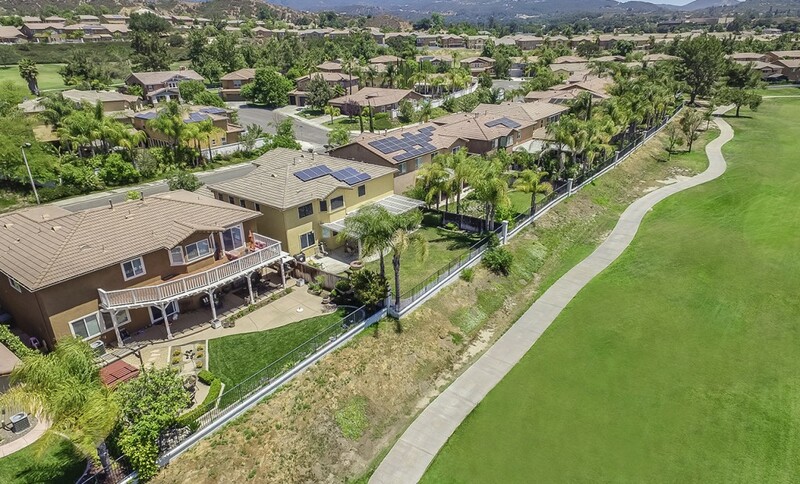 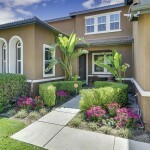 EXECUTIVE GOLF COURSE VIEW HOME || 46229 Jon William Way is a gorgeous model perfect home in the heart of Temecula, located in the Collection Community of Redhawk and sits along Red Hawk Golf Course at the Tee’s on 13. 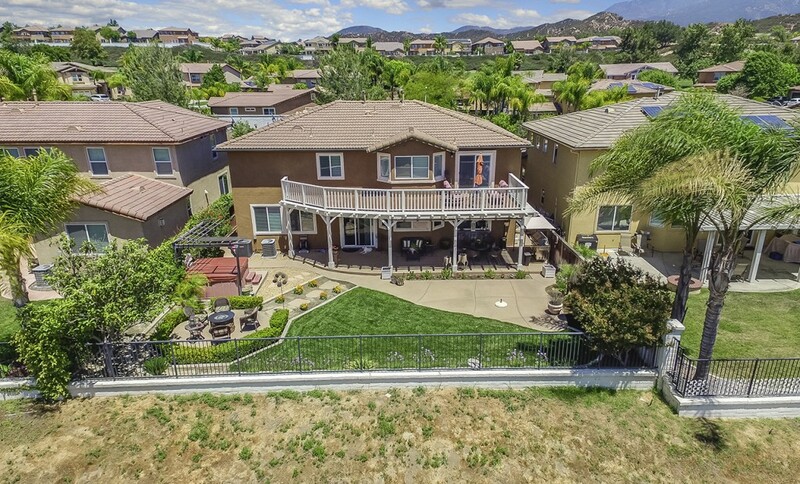 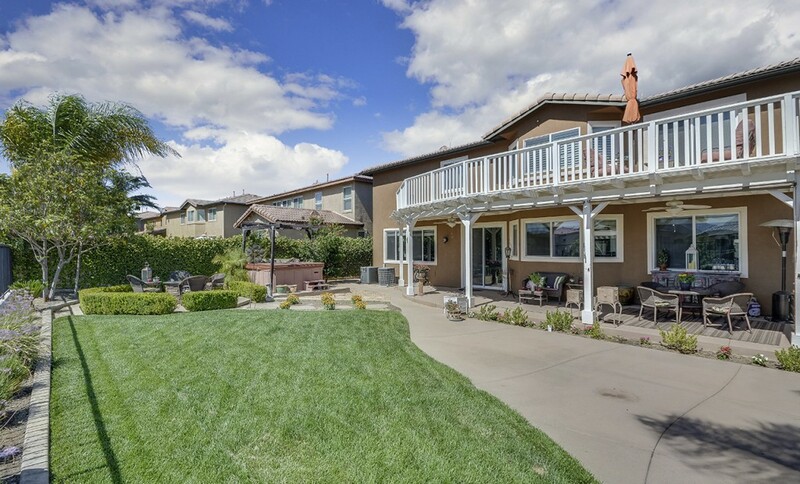 This home spans approximately 3,836 square feet of living space and includes 5 Bedrooms, 4 Bathrooms, family room, bonus rom, formal living room, formal dining room, secondary staircase, and separate laundry room. 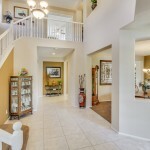 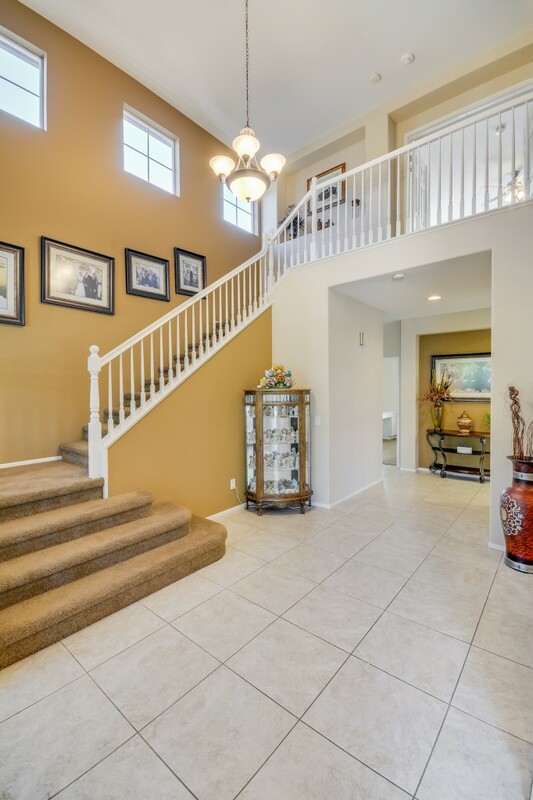 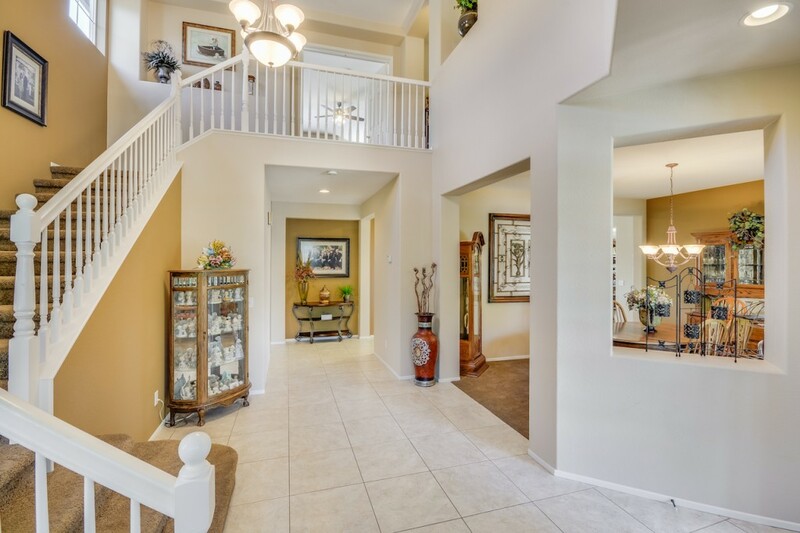 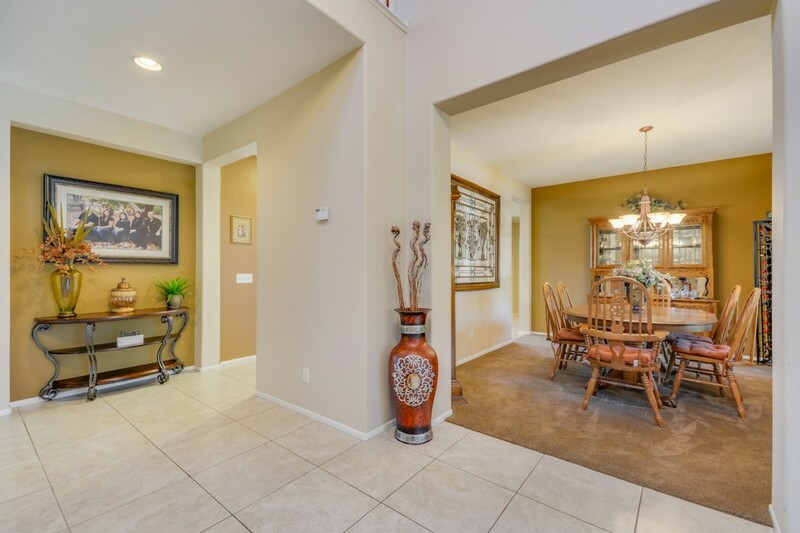 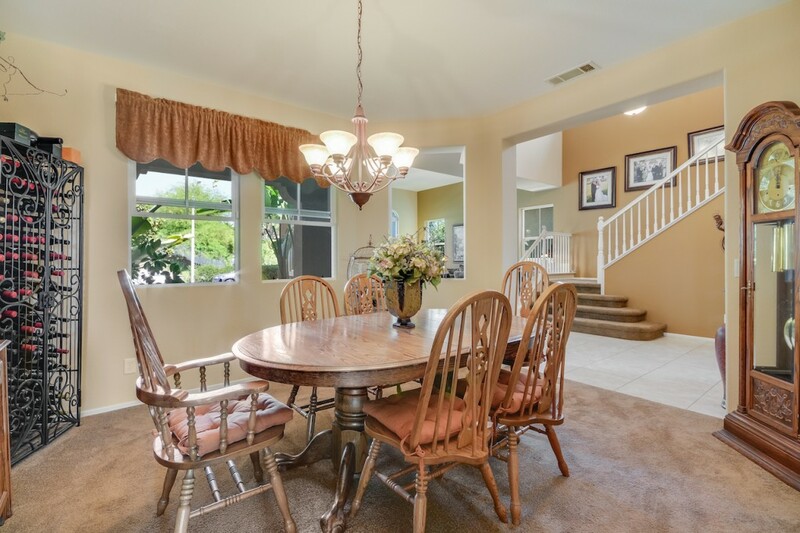 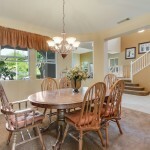 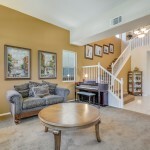 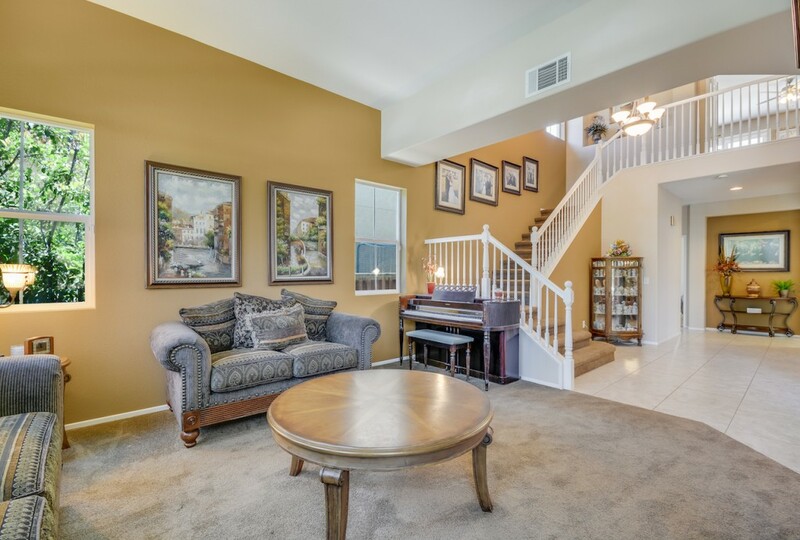 Features include a large entry area which leads to the formal living room, dining room, and main staircase. 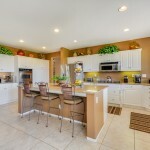 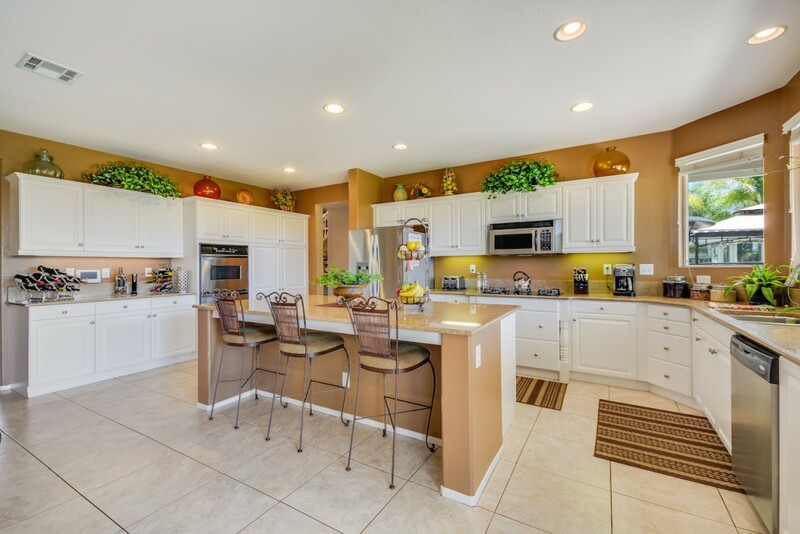 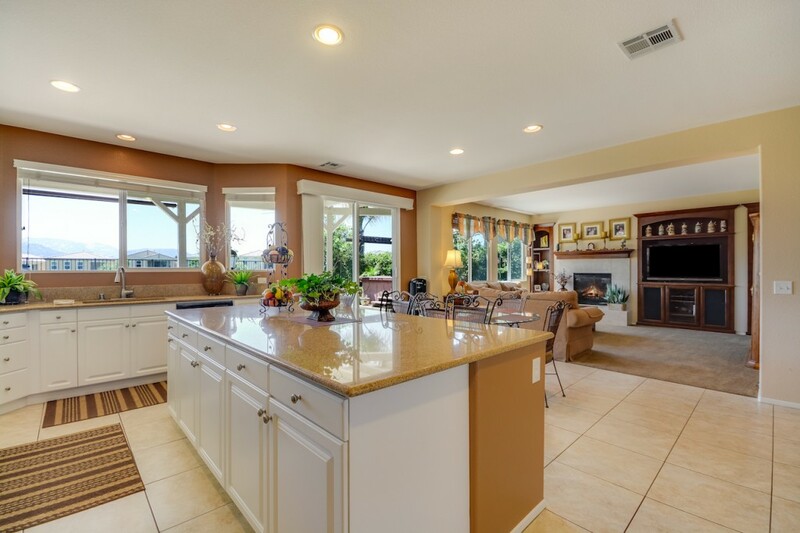 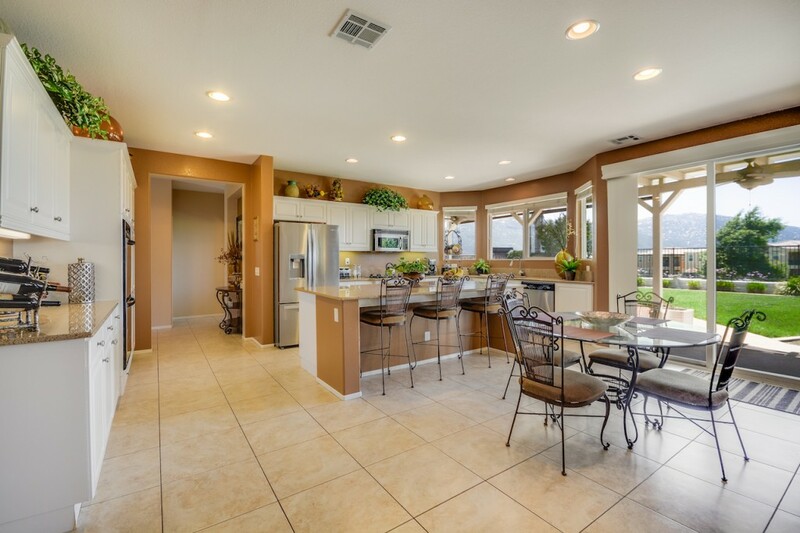 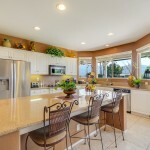 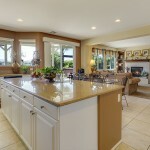 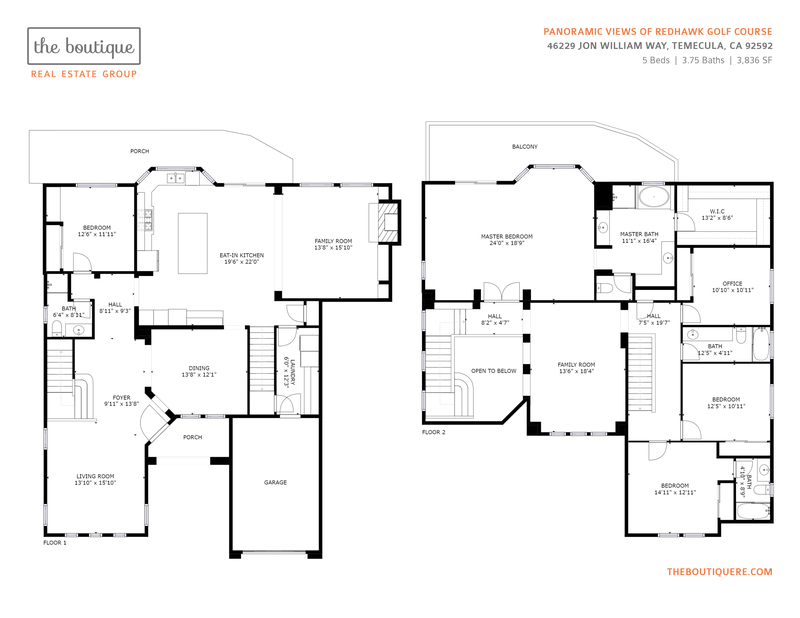 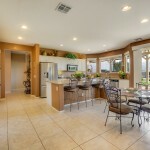 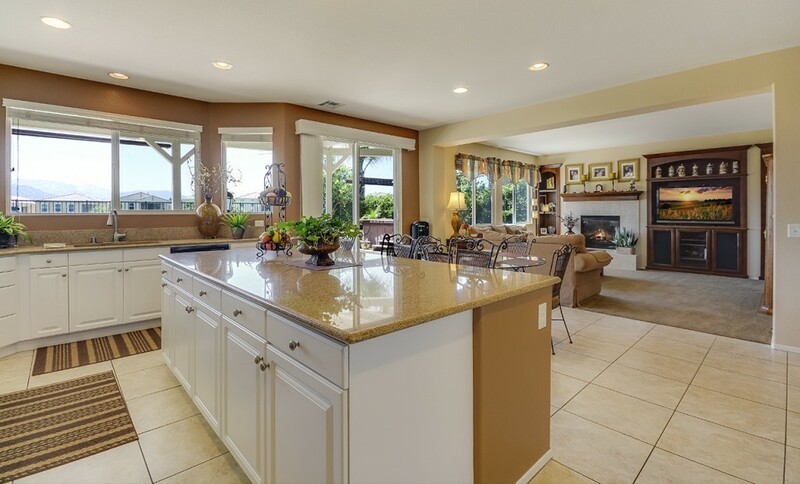 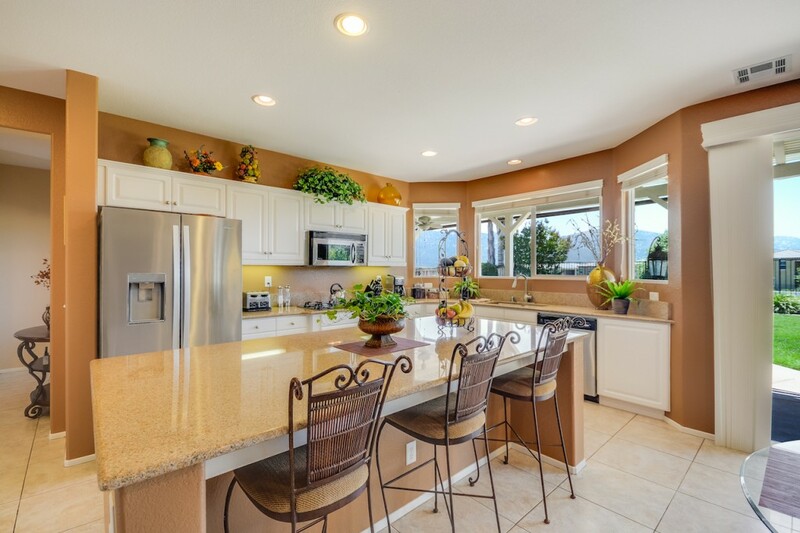 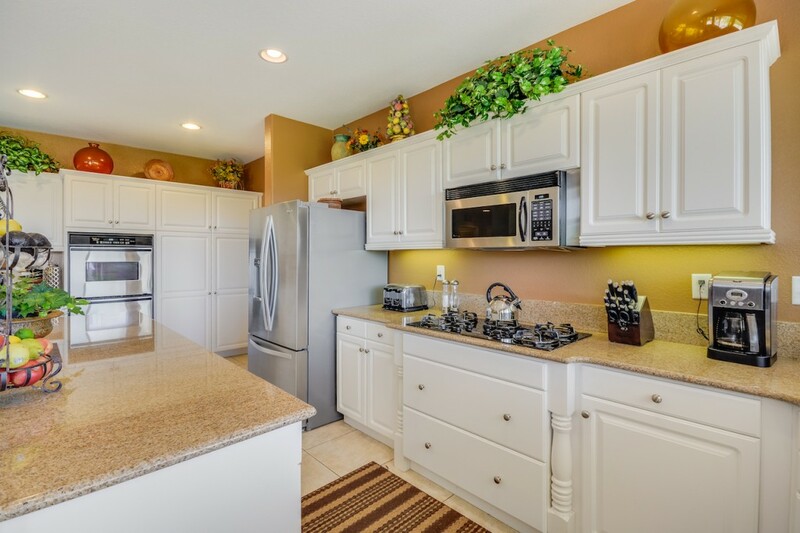 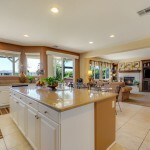 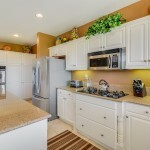 This open floor plan includes a gourmet kitchen with island and granite counters. 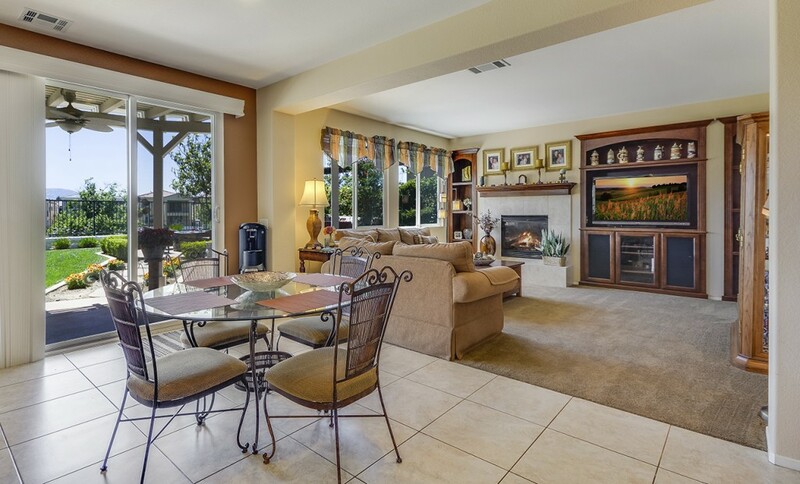 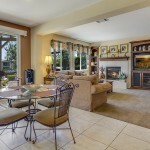 A casual eating area flows into the family room with fireplace and built-in shelving. 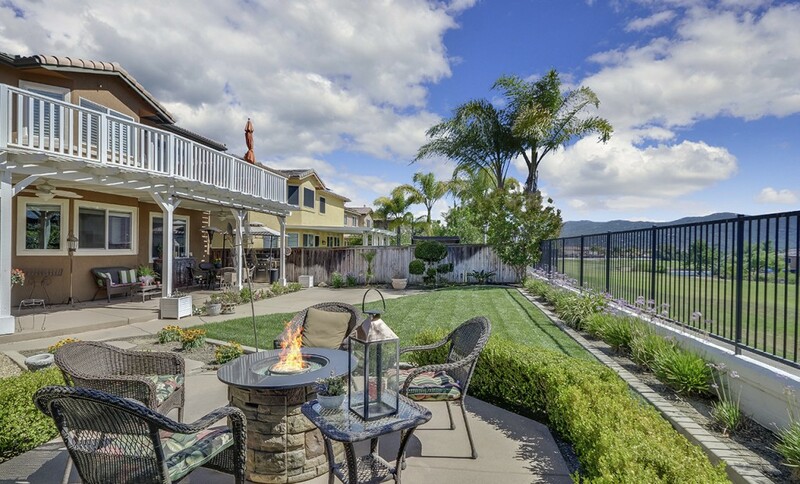 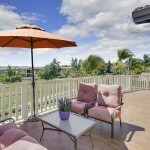 Fabulous tiled balcony off the master bedroom to enjoy upper level panoramic views of the golf course and hillside. 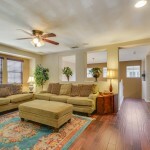 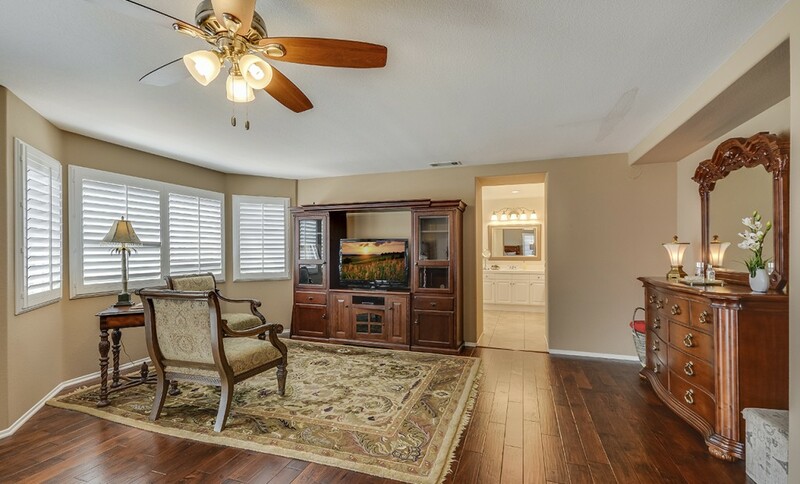 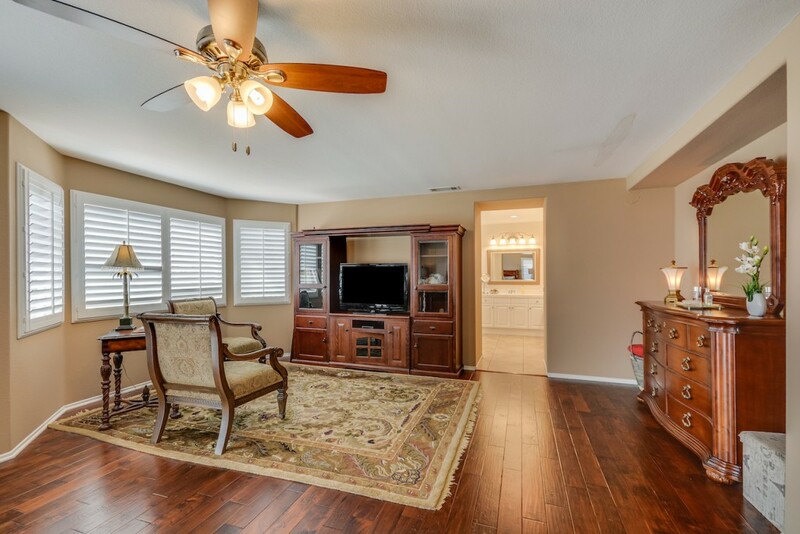 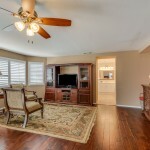 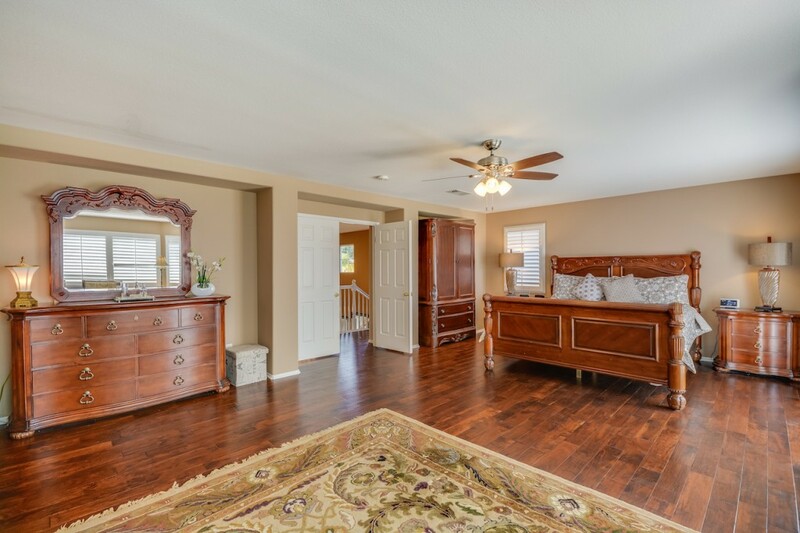 Beautiful hardwood floors in upstairs hall, bonus room and master bedroom. 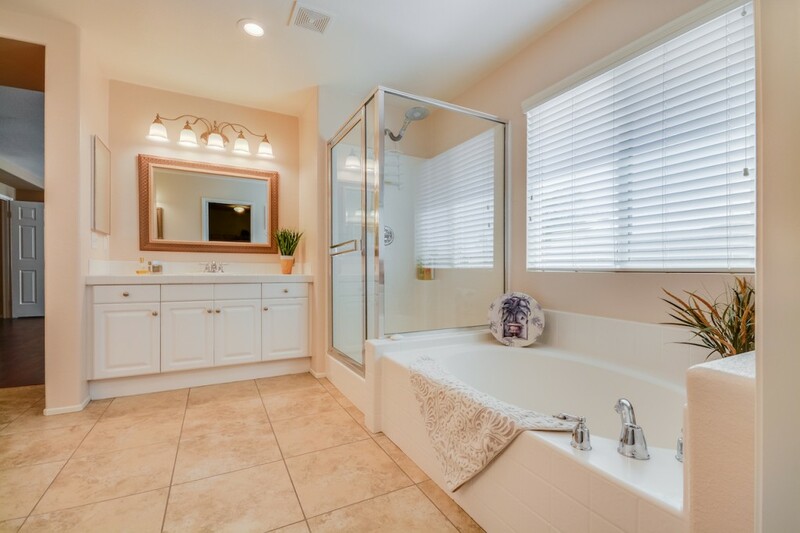 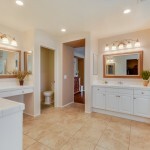 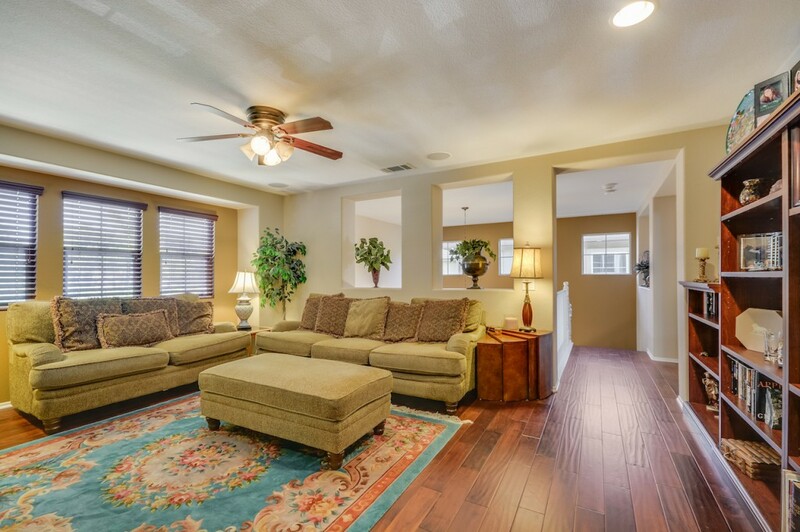 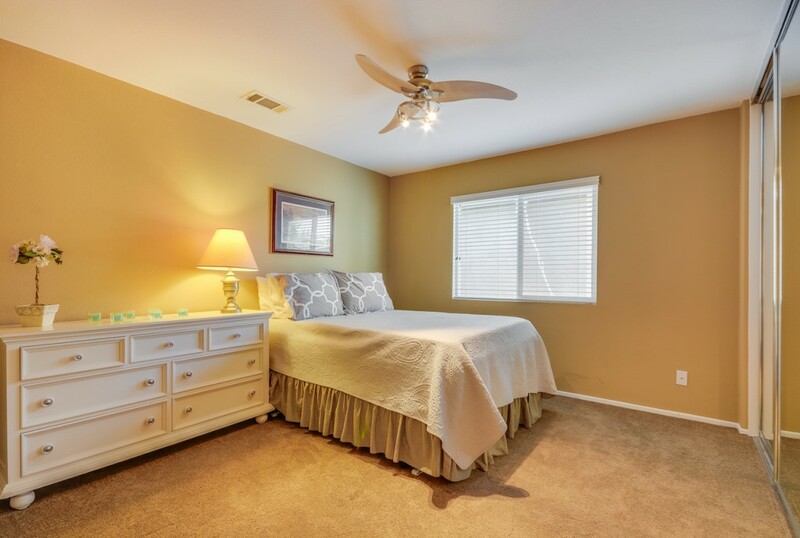 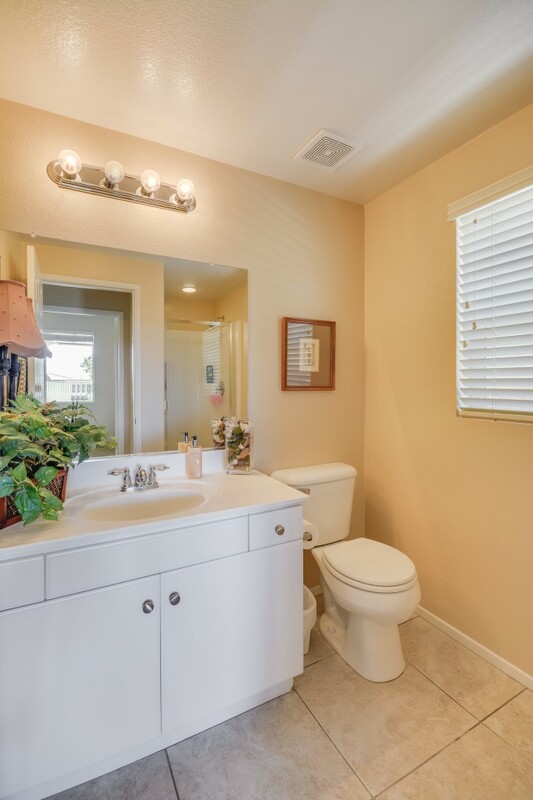 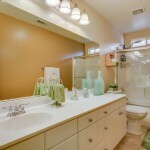 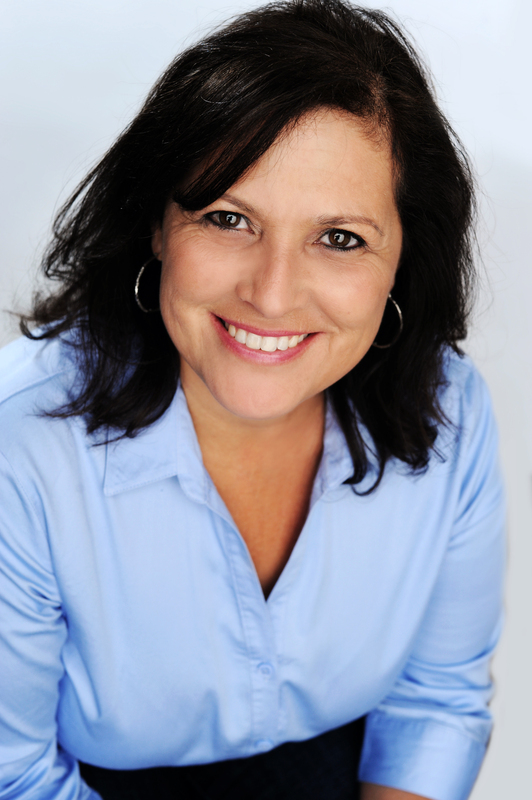 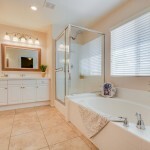 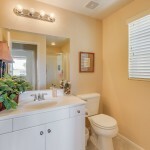 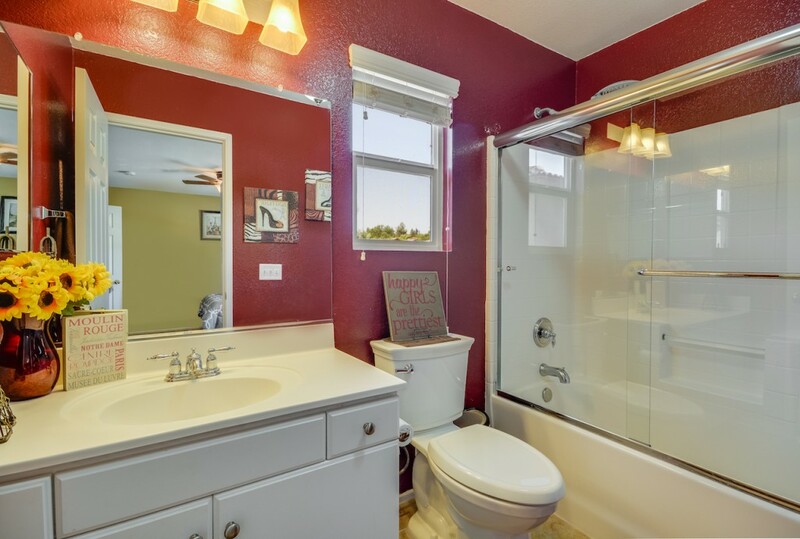 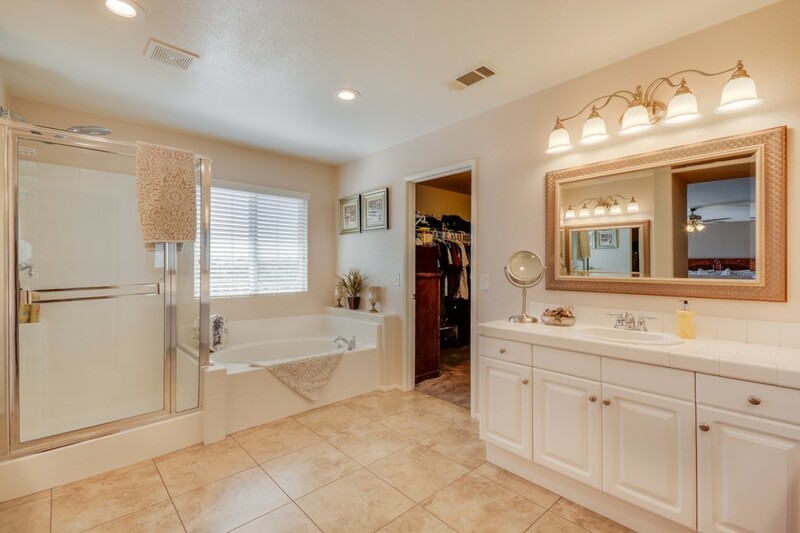 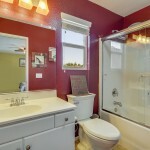 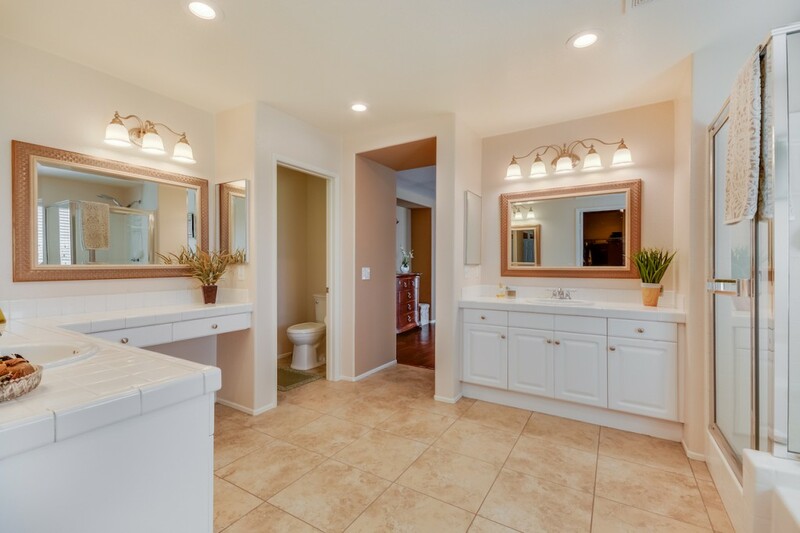 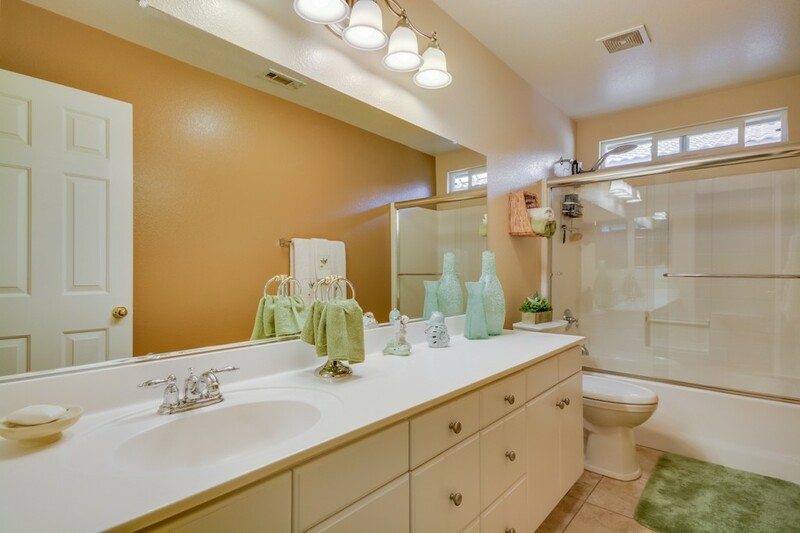 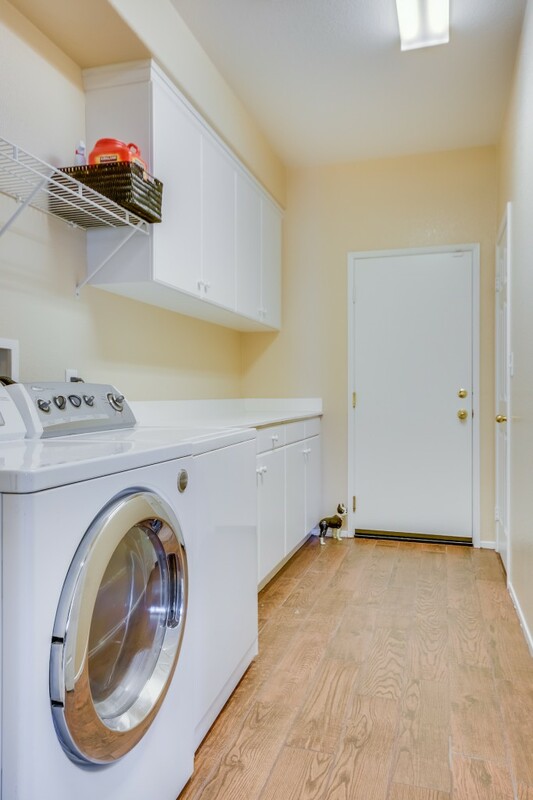 The master bath has dual vanities, a soaking tub, tiled floors and a large walk-in closet. 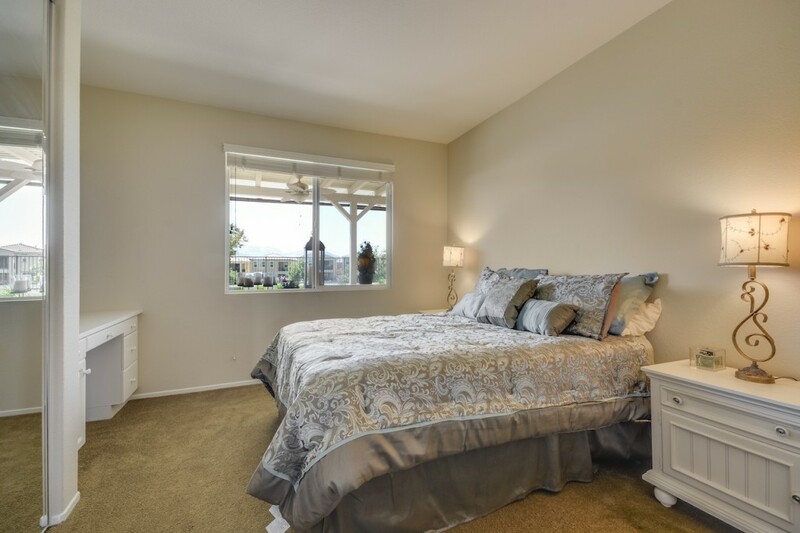 A secondary bedroom suite is also located upstairs. 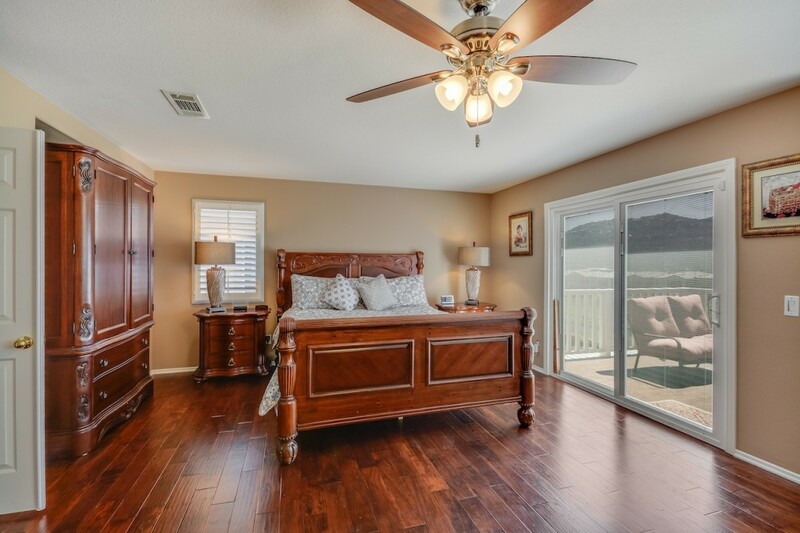 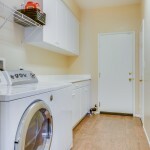 Also included are mirrored wardrobe closets, ceiling fans, and a 3-car tandem garage. 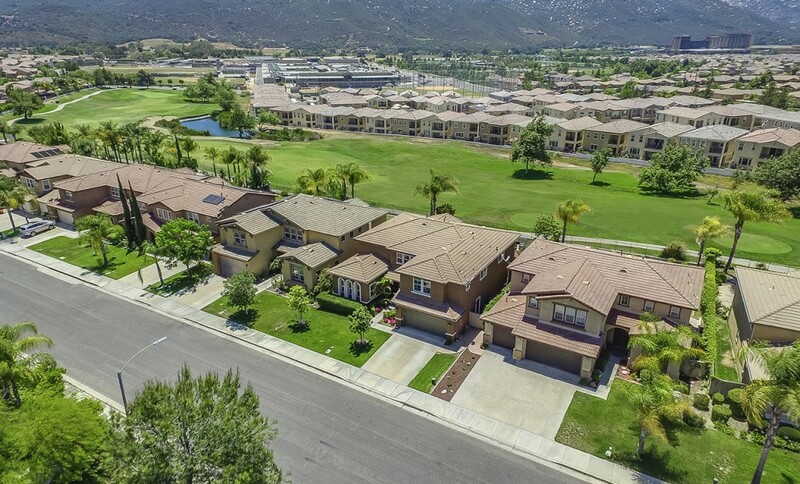 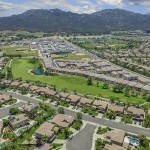 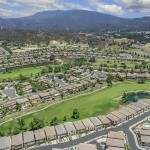 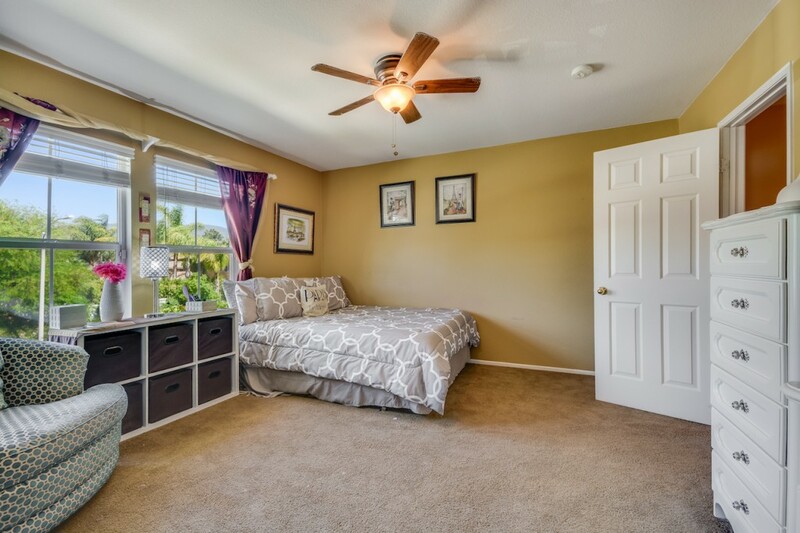 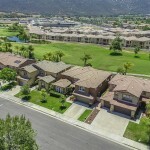 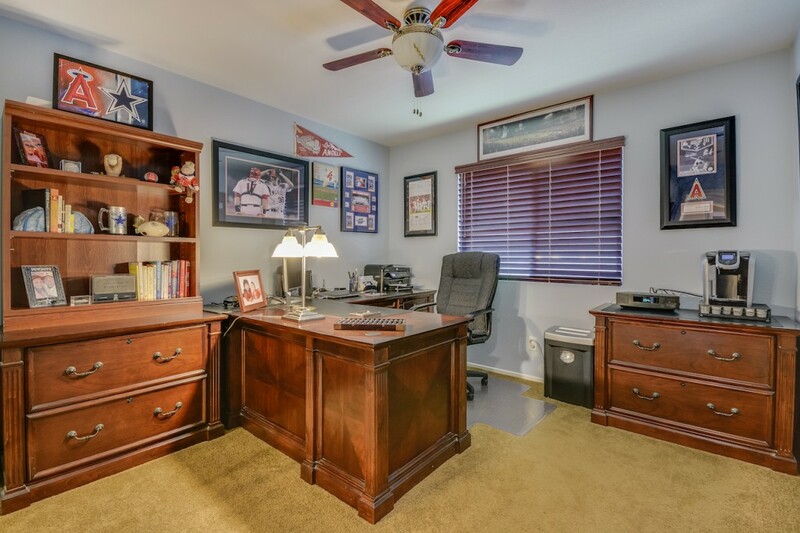 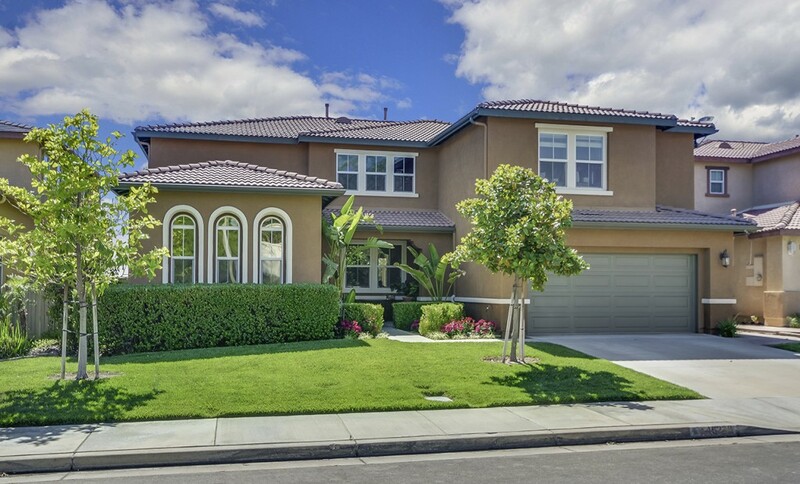 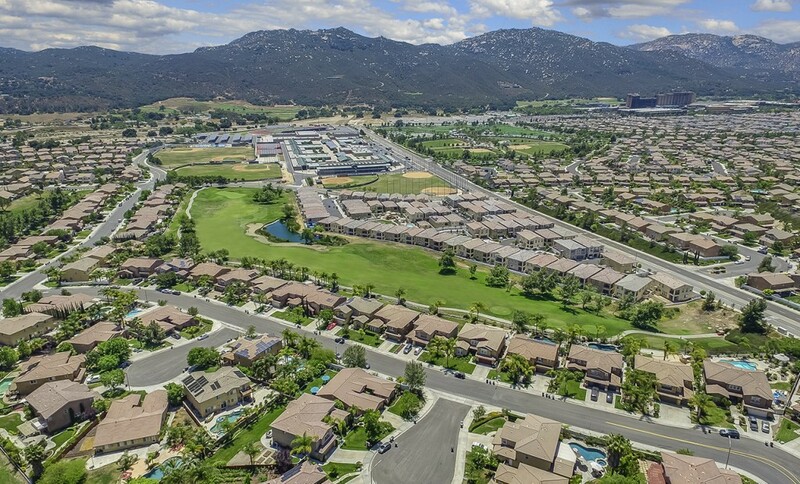 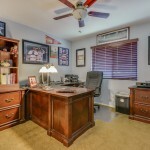 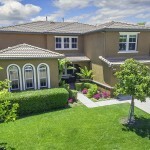 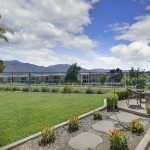 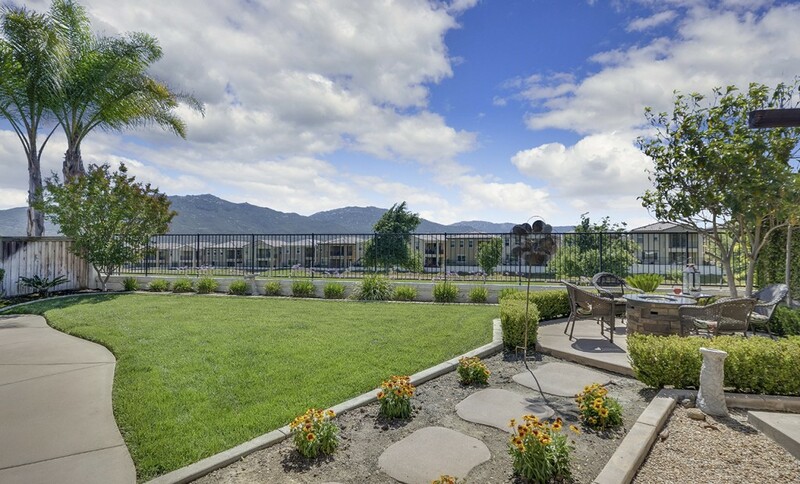 Walking distance to elementary school and Great Oak High School which offers an International Baccalaureate® (IB) program.